When searching for information on how to beat depression , you will come across many suggestions. These may range from getting enough sleep, meditation, and exercising, to striking a healthy balance in your professional, social and personal life. Everyone is different, and it’s important to get the opinion of a medical professional if you are struggling to beat depression. But one thing you can also try is to tweak what you eat. Studies have found that certain foods elicit a calming effect based on how their nutrient content interacts with the body. When eaten, such foods can help boost your mood. Rich in healthy fats and protein, walnuts are a healthy snack option over salt-laden crackers and potato chips. While most nuts and seeds are good at fighting depression, walnuts have an edge due to their high content of omega-3 fatty acids. Researchers have found that there is a correlation between this nutrient and healthy brain function. Some studies report high occurrences of depressive disorders in communities that do not get enough of omega-3 fatty acids from available local foods. Therefore, if walnuts are within reach, ensure you get your fill and acquire enough omega-3 to help you fight off depression precursors such as anxiety and stress. One widespread notion about chocolate is that it is a comfort food, which makes people happy. It turns out that this assertion bears some truth. The explanation behind how chocolate makes people happy is in its chemical nature. Nutrition researchers discovered that chocolate affects the brain by releasing neurotransmitters that have a positive effect on human emotions. One of these is serotonin, which is known to uplift mood. Chocolate also triggers the release of endorphins in the brain, which relieve pain and induce feelings of euphoria. This snack has even been found to stimulate production of phenylethylamine, a neurotransmitter that affects blood pressure and glucose levels to arouse emotions similar to those that a person experiences during romantic affairs. Another compound in chocolate that leads to feelings of well-being is lipid anandamide, which has similar effects to THC (tetrahydrocannabinol), the chemical compound in Marijuana that causes a high. It is the level of tryptophan contained in turkey that makes it such a good food for boosting the mood. Tryptophan is a type of amino acid present in various protein-rich foods. It plays a vital role in the production of serotonin, the “feel-good” neurotransmitter your body produces. Eating turkey and other foods rich in tryptophan more often can ensure your body is producing enough serotonin, which will ultimately help you maintain high spirits and prevent depression. Having a bad day? Green tea is an excellent beverage to help you cope with stress and prevent depression. The magic ingredient that gives green tea its anti-stress and relaxation benefits is Theanine. This amino acid is even used to treat anxiety and hypertension. Nutrition experts know that low fat dairy products lower cholesterol intake, which in turn reduces the risk of developing cardiovascular disorders. 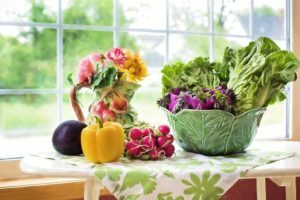 However, the depression fighting capabilities of low fat dairy products can be traced back to their high content of vitamin D. Some studies have linked lack of vitamin D with depression, and low fat dairy products can ensure that you are getting enough of this essential mood-boosting nutrient. There is a growing body of scientific evidence to suggest that various foods have a calming effect on the body. Those mentioned above are just a handful of comfort foods you can try to experiment with and see how they affect your mood. However, if you want to beat depression, it is important to look at your diet as a whole, and to seek medical guidance.